The technique of carving it in beautiful shapes and design with man and machine both is bestowed with our special and dedicated artisans who have oceans of creative visions to shape a stone into a beautiful showpiece. Handmade onyx Animals, size available from 2 inches till customer demand, onyx bulls, onyx animal includes onyx elephant, onyx eagle, onyx swan, lion, onyx camel, onyx frog, onyx bulls, onyx turtle, onyx horse, onyx dolphins, onyx owls, onyx dogs, onyx fish etc. 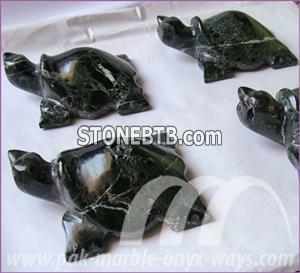 Pakistan is unanimously gifted by nature with rich reserves of onyx stone. Onyx in a way is from the family of Marble but what make it distinct from other marble is its unique property of being translucent in nature, the ever-remaining mirror polish and the unmatched luster. 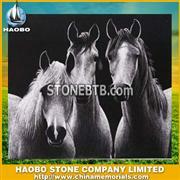 And not to be forgotten are the variety of shades and the natural texture in which it is found. The colors range from light green to medium and dark green, from copper brown to dark brown and within each color there are various effects of dark, medium and light shades which consist of beautiful veins giving it a natural and beautiful look and a feast to the eyes of any person who has a liking for mother nature and its wonderful creations. The technique of carving it in beautiful shapes and design with man and machine both is bestowed with our special and dedicated artisans who have oceans of creative visions to shape a stone into a beautiful showpiece. Handmade onyx Animals, size available from 2 inches till customer demand, onyx animal includes elephant, eagle, swan, lion, camel, frog, turtle, horse, dolphins, owls, dogs, fish etc. Company Address :A-16 Gulistan Colony Wah Cantt.